The Deep Silence 3 is a great addition to the Deep silence series that offers support for full sized ATX motherboards and extra long graphics card all enclosed in a sound insulated chassis. 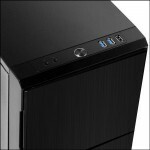 The Deep Silence 3 is the third generation silent gaming PC case from Nanoxia. This case features the standard award winning silent operation, made possible by automobile grade bitumen insulation foam for quiet, stealthy operation. Moving up from the Deep Silence 2, the DS3 is able to accommodate larger graphic cards and more disk drive space. The upper part of the front offers a foam-insulated door. Five 3.5 inch bays and three 2.5 inch bays can be found behind the door, as well as the 2-channel fan control for up to six fans and the reset button. The door is equipped with a magnet to ensure a fast closing and easy opening. On the front of the top cover you can find the I/O-panel. It offers 2 x USB 3.0, 1 x USB 2.0, as well as Mic and Audio connectors. This ensures that appropriate devices can be connected quickly and easily. You can mount ATX, Micro-ATX, and Mini-ITX motherboards in the Deep Silence 3 case. You will be hard-pushed to find another Midi Tower that offers so much space. The above-average depth of 588 mm offers fabulous space for the most demanding projects. 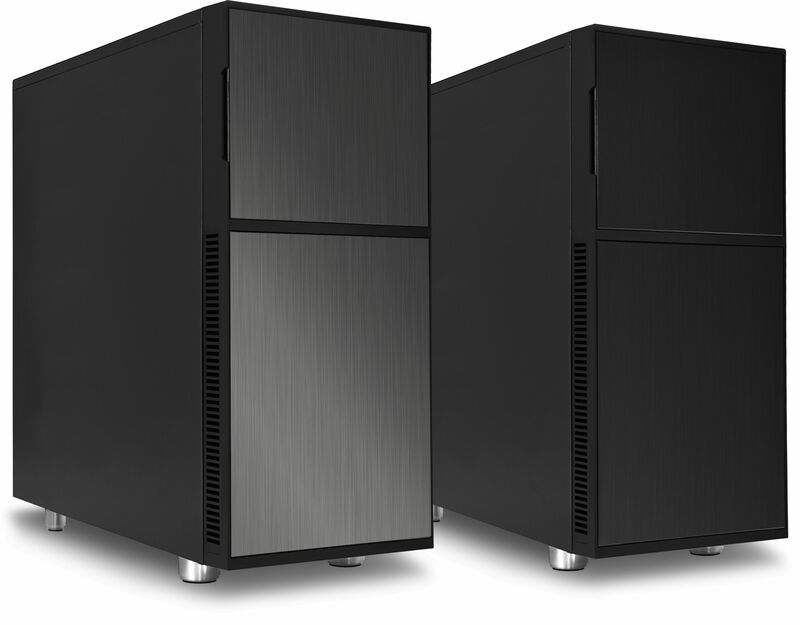 Graphics cards with a length of up to 345 mm can be mounted in the Deep Silence 3 with no additional effort. If that is not enough, you can remove the HDD cage for another 75 mm space - a total of 430 mm. On the back side are as many as eight PCI expansion slots - the installation of a multi-GPU system is thus possible without difficulty. 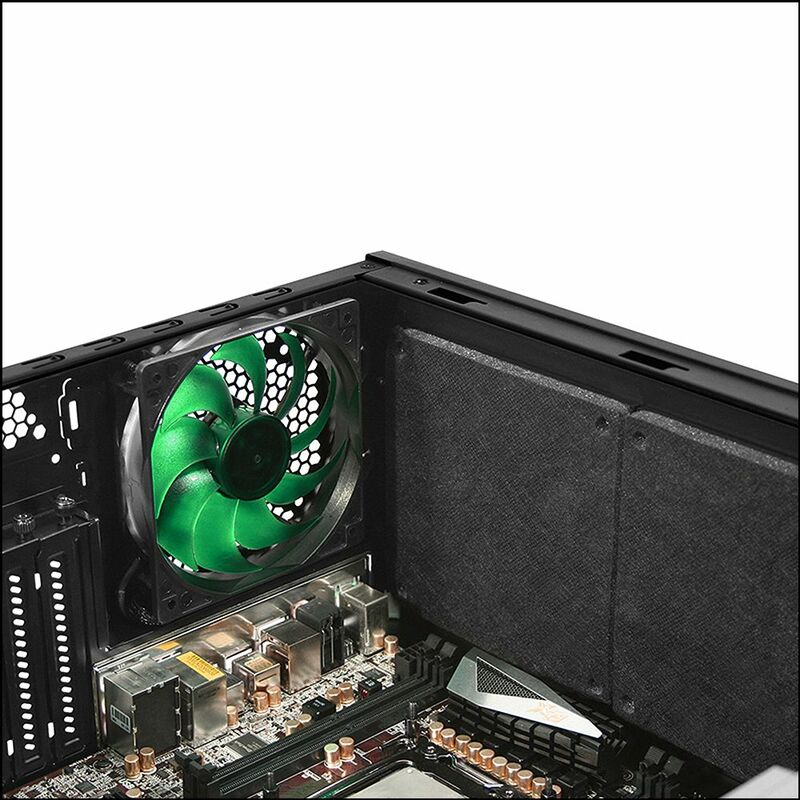 162 mm space is available for the installation of up-to-date CPU coolers. Automobile grade bitumen and foam is used all throughout the case to provide a truly, quiet pc experience. 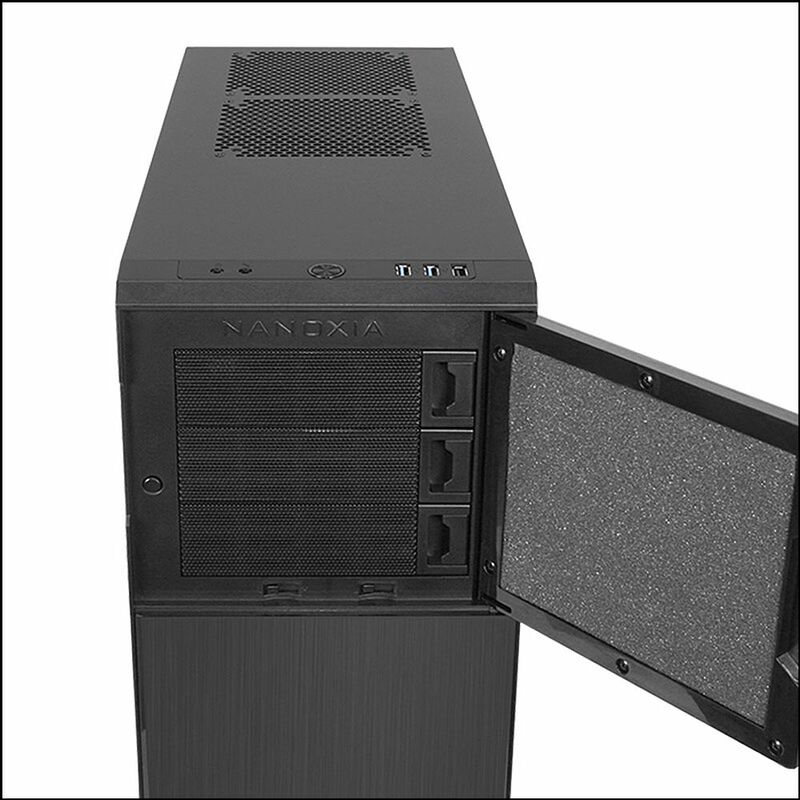 Where others fall short, our sound dampening is high grade material that reduces unwanted noises and airborne vibrations so your server case runs smoothly, and quietly. 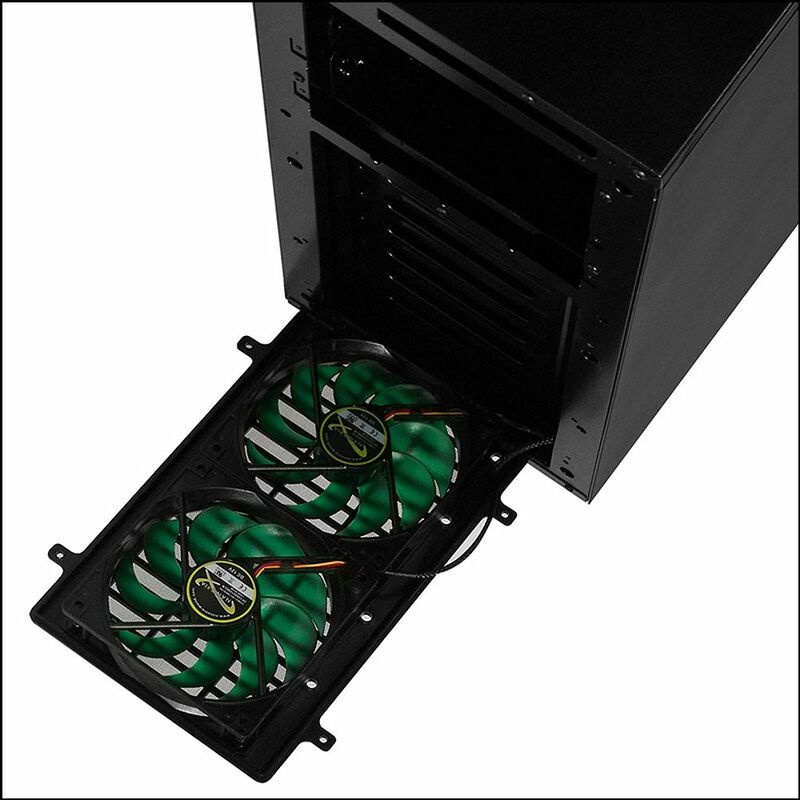 You'll find convenient rubber mounts on the PSU and HDD trays to eliminate vibrations. The Deep Silence 3 may be the lightest (in the entire Nanoxia case lineup) but it is still designed for heavy duty usage. Thick 0.6 mm steel withstands long term assembling. Constantly adding and removing components will provide wear and tear and can result in broken or bent parts with flimsy cases. With the Deep Silence 3, you get a durable case built to last. The Deep Silence 3 supports up to 6 fans and 2 radiators alongside a pre-installed fan controller that helps you adjust fan speed. A large number of drives in a PC case will require efficient cooling which the Deep Silence 3 is more than capable. 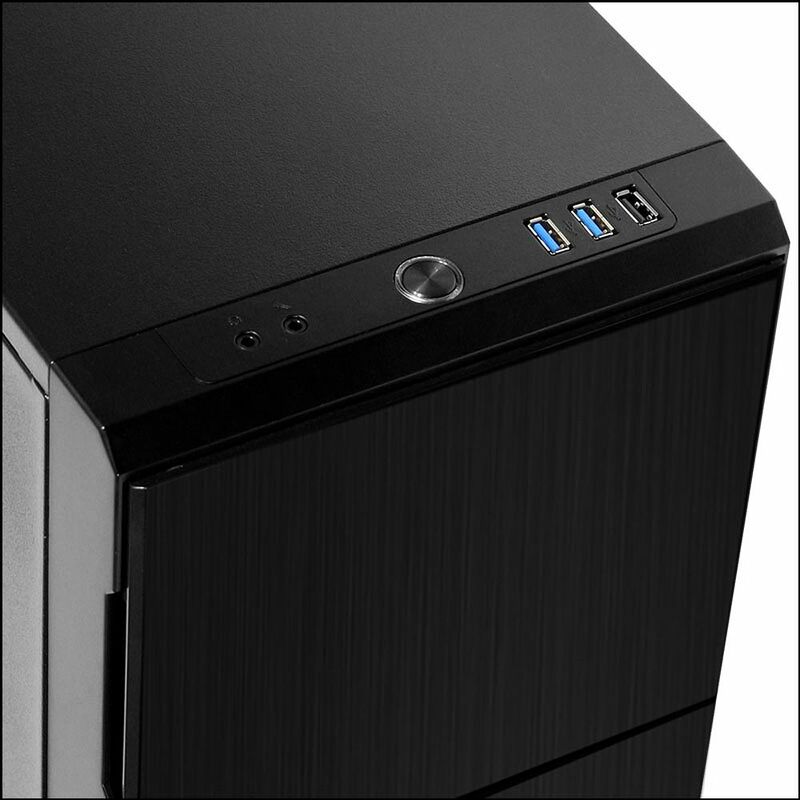 Control the speed of up to 6 fans from a single, convenient fan controller located at the front of the case.